I have said it before and I’ll say it again: damn! That is some good calamari! Biggies is consistently at the top of my list of favorite restaurants. We have definitely featured their amazing Thai Calamari and always fresh Ahi Tuna Tacos before, but after another great experience there the other night, I felt it necessary to feature this MUST HAVE, once again! 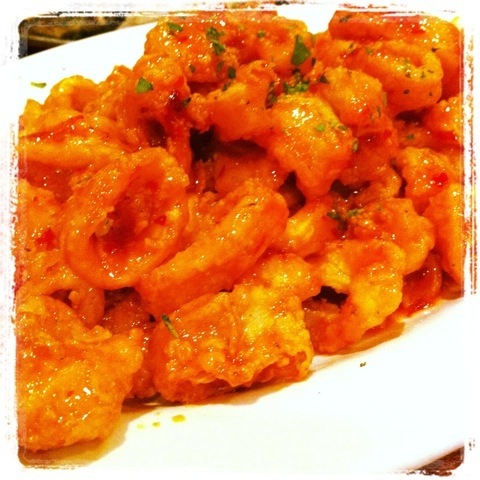 What is your favorite appetizer at Biggies? Ok you have all heard me go on and on about my sincere love for a good cheeseburger, yet I have not featured one on FOREVERHUNGRY! One of my fellow wordpress bloggers, LA QUEEN PINS inspired me to go for a good burger this week. Here it is! Biggies in Carlsdadt, NJ has award winning burgers, ribs, raw bar, etc. as I have mentioned before. However i would really like to focus on the delicious burgers today. 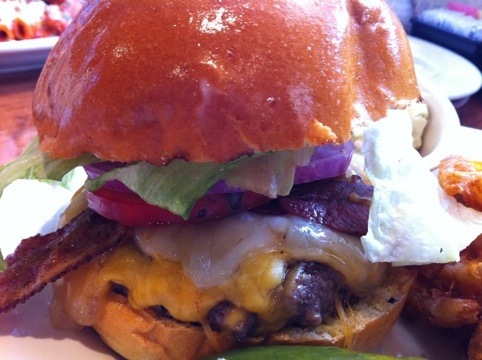 This is a plain bacon cheeseburger- but not plain in the taste category by any means! Danny surprised me with tickets to BergenFest Party and Expo yesterday at the Estate at Florentine Gardens in River Vale, NJ. I knew I was in heaven immediately when we walked in the doors because we were offered Cake Pops right off the bat! Don’t mind if I do! The cake pops were from Cake Pops for You in Ridgewood, NJ. I had a carrot cake- cake pop coated in white chocolate and orange sprinkles. Amazing. I was blown away with the variety in food selections throughout the event- including the myriad of desserts! Lots to report and there are many reviews and pictures to come! 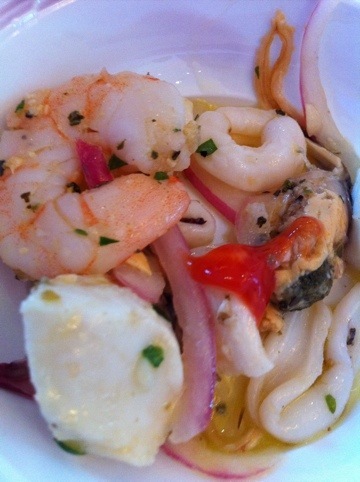 This picture is a seafood salad from Biggie’s in Carlsdadt, NJ. 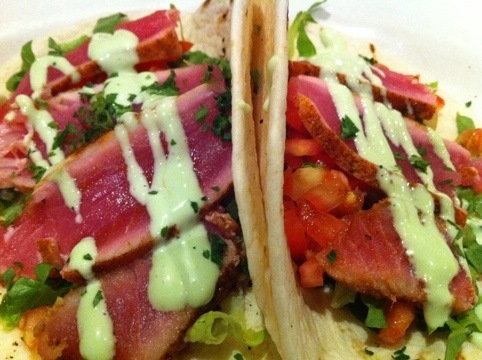 I have been here a few times and absolutely LOVE the ahi tuna tacos, thai calamari and their draft beer selection. They are most famous for their raw bar (clams, oysters,) ribs and burgers but I think they do everything right 🙂 The salad they chose to bring to Bergenfest was genius- it consisted of calamari, shrimp, crab, red onion and a wonderful combination of flavors with the dressing. I will definitely be ordering that the next time I go. Mmm mm!